Where to start with this one..... This day was full of crazy fun, adventure and even some scary parts! 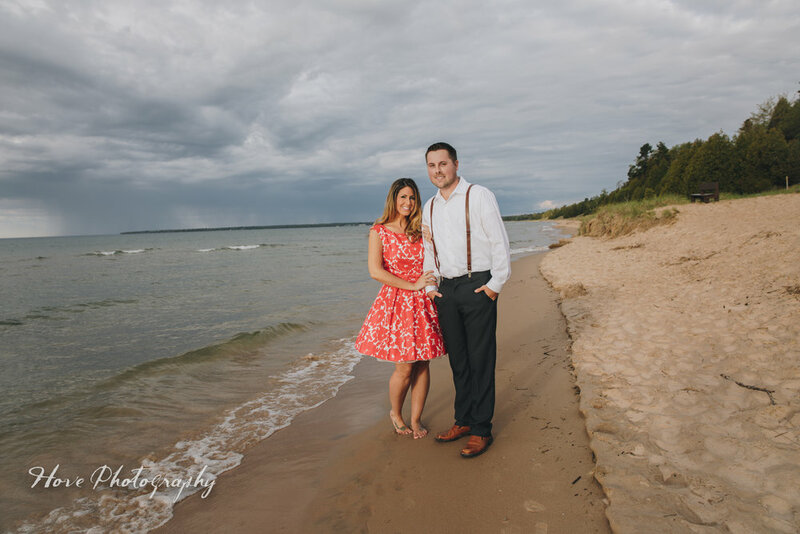 It all started at 330 AM as I prepared to meet Rebecca and Jay in Sturgeon Bay at White Fish Dunes State Park. Needless to say I was hit by a deer on my way to the engagement session. Yes.. you heard me. It RAN into my car! None the less I made it to the Park early with bells on and and ready to go! I was just too excited to work with this couple to let anything ruin my day. If there were ever kindred sprits, Rebecca and I may be just that! Down to our love for photography, we even had the same camera bag!!!! 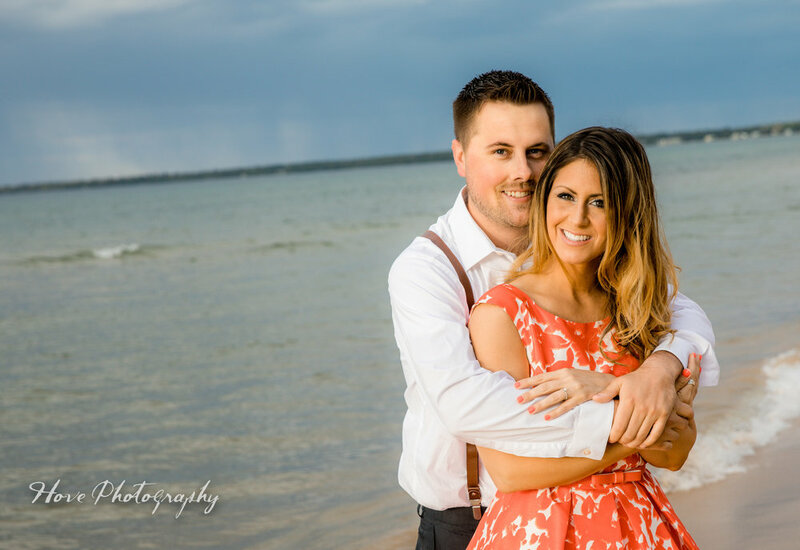 But what was more thrilling for me was that Jay & Rebecca wanted to push the 'normal' concept of an engagement session! They wanted to test out photos in the water. As a photographer most of the time.. you would say "oh hell no, Water + Camera = Bad"! I WAS PUMPED!! I couldn't wait to try something new and was stoked they wanted to as well. But we will get to that part. As you can see I have already started painting a picture: 6 AM shoot, Deer accidents (sad), sandy beaches, and cold... cold water. 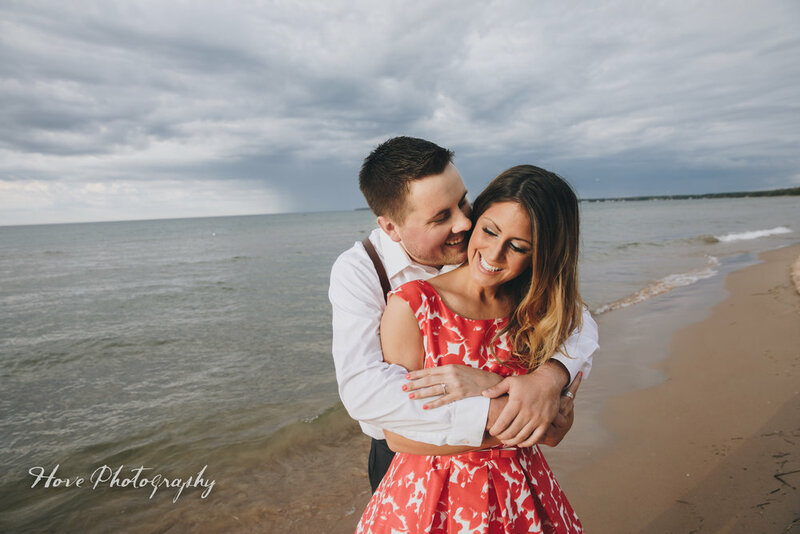 Before we talk more about our fun session I do want to call out that Jay and Rebecca also have one of my favorite first date stories!!! Rebecca, being the awesome woman she is, wanted to do something different ( seems to be a theme). For their first date she planned a fun balloon painting session in the woods, lit by candle light. Now.. where she might of thought things through is the 'trench coat' looking jacket, as Jay described it. Rebecca had confessed the date seemed to be headed for disaster, the woods were really dark, candles didn't help much, it was dreary and not as romantic as she had hoped. Jay on the other hand was determining whether he was going to be murdered by the beautiful woman in the woods, wearing a trench coat. HA HA ... oh..you can see why this is my favorite story! He is engaged to a inspiring woman and mother. Rebecca, following her taste in creativity all the way from her first date to her engagement session, decided she wanted to get into the bay for some photos. Knowing that we would more than likely freeze we tried to prepare mentally before 'jumping' in so to speak. By jump I mean slowly walk and curse in our heads over and over about how crazy we were! Or if you are Jay, curse out loud :D.
Thanks to OUTEX, a new brand of waterproof camera body, I was able to join them in their crazy! I dipped below the water, camera in all and tried to snap as many photos as I could as the waves washed over me. I am so happy with how the frames turned out and I cant thank Rebecca and Jay enough for being the crazy, fun and spirited people they are. 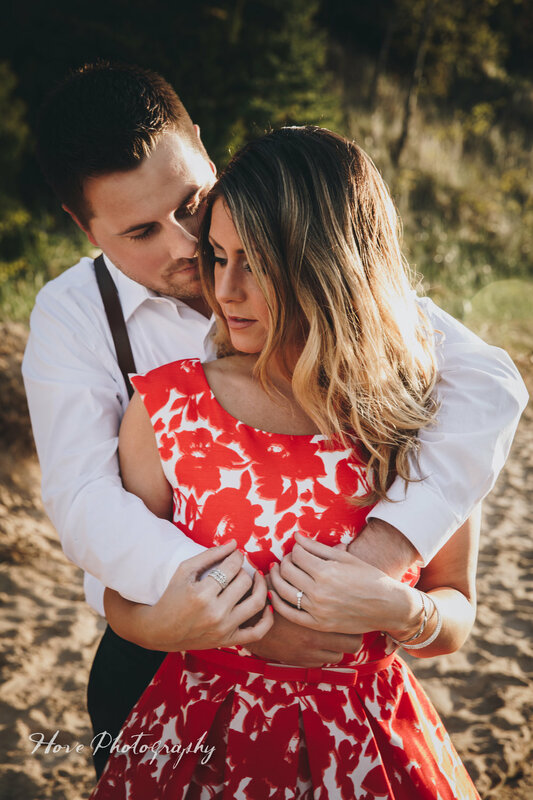 We have so much to look forward to as we journey towards your big day!! I JUST CAN'T WAIT!